Our house now a home started in the winter of 2013 as a way to share low cost solutions to creating a dream home. Emily began this journey knowing nothing of blogging, its possibilities, or even how to take pictures. 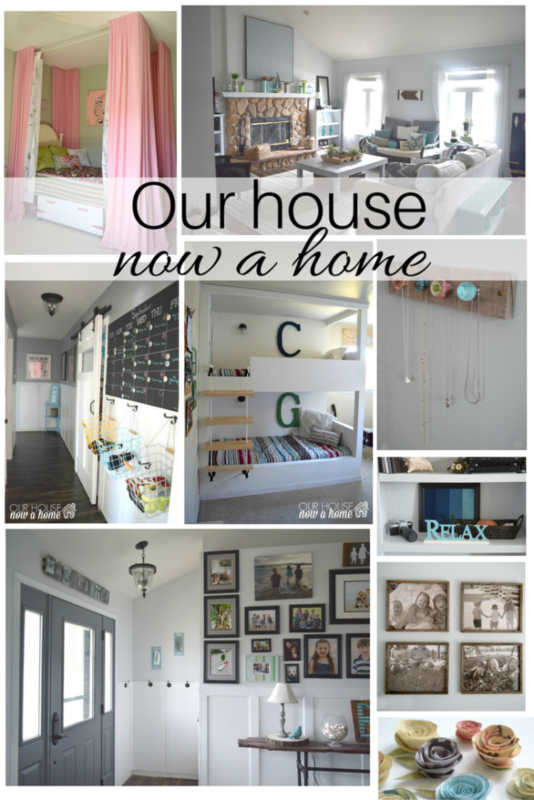 Many lessons have been learned, the blog has morphed into a celebration of all homes. Recently Mary has been added as the designated recipe and gardening professional. In it’s over 4 year run so far Our House now a home has been fortunate enough to work with many brands including Pottery Barn, Tree Classics, Joanns fabric, Wal-Mart, Wayfair, , World Market as a brand ambassador, Hickory Hardware, JCPenney, Rugs USA, Uncommon goods, Hayneedle and countless others. Gaining knowledge, growing in photography, and reaching new audiences with each successful campaign. The decorations, posts and ideas that are shared here have also been featured in countless publications, online magazines, and large websites. To name a few; Good Housekeeping, House of Turquoise, The Family Handyman, Apartment Therapy, Huffington post living, House Beautiful, Country Living, Better Homes and Gardens, HGTV, Simple Living, HOUZZ, Babble and many others. Seriously, pinch me now!! I love to stalk thrift stores, rummage sales, and sometimes dumpsters or items from the side of the road. “One mans trash is my newest furniture redo project that will make people lose their minds on Pinterest.” That is exactly how that saying goes, right? I am a Mom to three young kids and have been married for 11 years. Before all of this wedded bliss in the Midwest I was a beach loving, sun worshiping, sandal wearing Southern California lady. I was born and raised in So Cal, moving to Wisconsin when I was 18. Meeting my now husband 3 weeks into moving here, talk about a whirlwind. Thirteen years later we are settled with 3 kids, 2 dogs, 1 house in a small town, a picket fence and a SUV. I tried to fight my love all things coastal home decor, because I do not live next to the beach no matter how much I pretend. But, I cannot fight my love of beach decor, shells, turquoise, gray and sea inspired. I let my coastal decor flag fly high now (which I assume has a gray chevron pattern and turquoise shells on it). I also have to create a home my husband and kids love. Dale likes the rustic feel, which is why I decorate in a lot of rustic woods, many reclaimed or from wood pallets. I decorate for my kids to have the home function, and all of it is kid friendly. Down to the white sofa that is completely slip-covered and washable. This is our safe haven the place memories are made, giggles are had, cuddles are given out and where we come to quiet down the noise of life. Creating OUR house into a home. Having an idea, enough guts to try, and maybe some paint and twine. 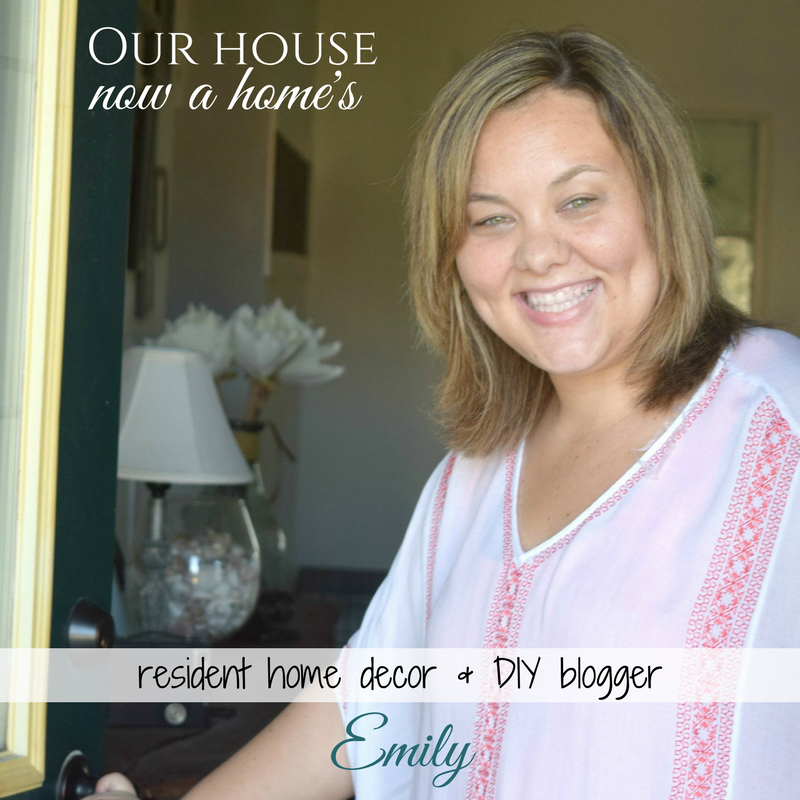 Putting your dreams into action and turning a house into a home. One DIY project and recipe at a time! To see the most recent post you can go to the homepage. For a list of projects you can go here. Have some fun, look around, and let’s start talking about making my house and yours into a home!